In the Acclaim Award, two delicate crystal triangles, one blue and one optically clear, stand together to create this exclusive design. 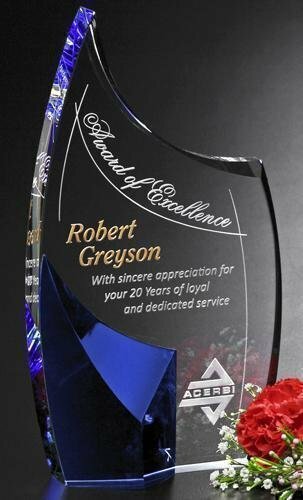 It is a beautiful combination of Honor success in customer service or safety. It is sure to well received by it's recipient. 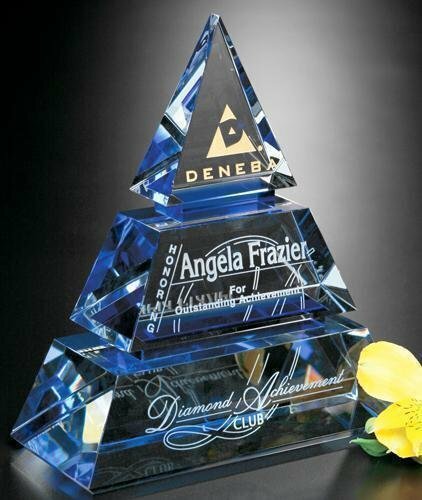 The stacked diamond tier design, accented with blue, of the Accolade Pyramid award represents the ascent to success. Present this award to the employees who have fostered the success of an organization from the ground up and watch their faces light up! 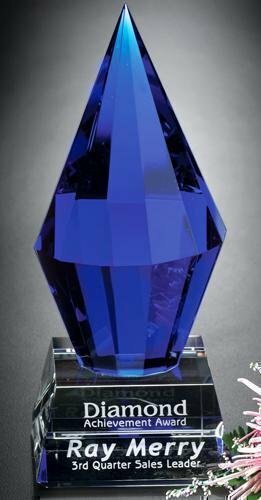 The upper curve of the Allure Award combined with the blue corner creates a stunning award. 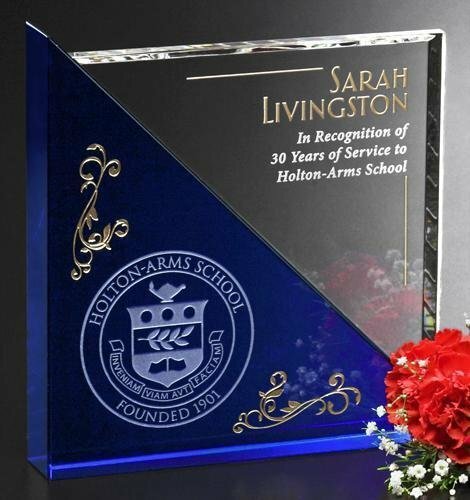 This combination, along with elegant curves, makes this award a symbol of great achievement! 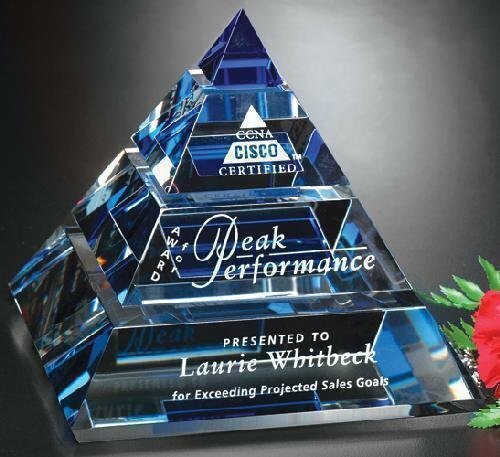 Reward top achievement with this one-of-a-kind accolade.